Invest in Gold and Silver? You Must be Joking! Not so very long ago the thought of buying gold and silver seemed unthinkable. I didn’t know very much about investing, and the little I did know came from studying my one and only underperforming, large cap mutual fund. To me, the bond market seemed like foreign territory, so the thought of investing in precious metals was about as far off my radar screen as it could be. That started to change in 2007, when after becoming convinced of the worsening financial condition of the US and the distinct possibility that the powers that be would try to monetize the government’s debts – by monetize I simply mean create new dollars out of nothing by a process the academic frauds who run our nation’s financial institutions call Quantitative Easing, thus destroying the value of the existing dollars in your checking and savings account – I finally started to seriously consider investing in gold and silver, and over the past three years I’ve become much more comfortable with the metals. Maybe you’re like I was in 2007, intrigued by precious metals but unsure whether it’s a good investment. Does it make sense to invest in gold and silver? How would I go about doing it? What dangers should I be aware of? If you’re asking these questions, that’s ok. In fact, if you’re not asking these questions before investing, you’re disrespecting your hard-earned, God-given capital. So before putting any money into silver and gold, it’s best to learn why and how you should buy. The key to this is finding a good mentor. One of the best I have found in the field of precious metals is James Turk. He’s a sober-minded investor with decades of experience in finance and precious metals. I find his writing clear and easy to understand, even for novice investors, and his forecasts of the price movements of gold and silver have been remarkably accurate. 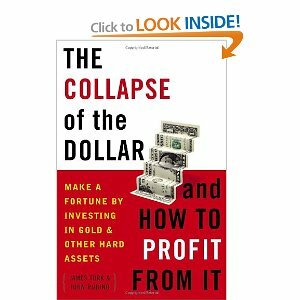 His 2004 book The Collapse of the Dollar and How to Profit from it is a good place to start for learning about the silver and gold markets. In the first half of the book, Turk makes his case for why the dollar will collapse: it’s a government fiat currency with an unlimited potential supply. The second half of focuses on gold and silver investing and provides helpful information on how to purchase both the physical metals and also gold mining stocks. There’s also a disturbing chapter dealing with the specter of government confiscation of not only gold, but also Americans’ retirement savings. 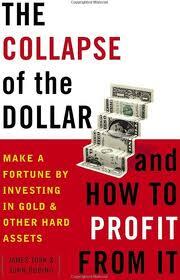 You can find used copies of The Collapse of the Dollar for a few bucks on Amazon or other internet booksellers. Think of it as one of the better low-cost investments you’ll make in the new year. Click here for a recent audio interview with Turk by Eric King of King World News. Financial chicanery has been big news in the US the past two years, and now the Vatican, not wanting to miss out on a good thing, has a banking scandal of it own brewing. 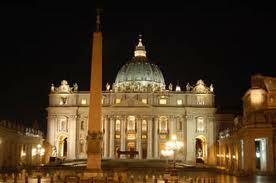 It seems that the Vatican Bank, also known as the Institute for Works of Religion, is suspected of money laundering. Currently $30 million of the bank’s money has been impounded by Italian authorities, and Bank’s chairman, Ettore Gotti Tedeschi and director general, Paolo Cipriani, are under investigation. The Vatican is said to be perplexed and surprised by this turn of events. For my part, I’m shocked, shocked!, to hear about scandal in the Roman Catholic Church-State. Really, who would ever suspect such a thing? In both cases, investigators bypassed the sovereignty of the Holy See by looking into Italian accounts that had received funds from the Vatican Bank. Notice how the Vatican is said to have “sovereignty.” How is it that a church can have sovereignty? Is not that term used primarily – though in error, for God alone is sovereign – of states? With good reason John Robbins called the Vatican the Roman Catholic Church-State, for it can appear as one or the other depending on what suits its purpose at the time. For other news accounts of this scandal see here, here, and here. There are two major theoretical errors in the field of politics: 1) the belief that the individual is sovereign, and 2) the belief that the state is sovereign. The former tends to anarchy, the latter to tyranny. Both are best avoided. But how? The short answer is understanding this truth: God alone is sovereign. And if God is sovereign, man – considered either as private citizen or as magistrate – is not. The nation of Israel forgot this when they demanded Samuel make them a king. They didn’t want the limited government of the judges. The wanted a Führer who could make the trains run on time. Samuel argued and told them told them what a king would do: he would take their sons, their daughters, their fields and their vineyards. He would take their servants both male and female. He would take their harvest and the livestock. He would take, he would take, he would take. And what he didn’t take to keep for himself, he would give away to his rich, well-connected buddies. Think of it as the OT version of crony capitalism, which isn’t capitalism at all, or the obnoxious “too big to fail doctrine” so popular in 2008. But the people were not dissuaded from their chosen course. They demanded a king and they got one…good and hard. Americans too have ignored Samuel’s warning. For what the prophet said about the behavior of a king also applies to big government in general. After making a good beginning as a constitutional republic, our nation has morphed into a corporatist welfare state with government taking our freedom, our dignity and our wealth. And much of what it takes is transferred to programs favored by special interest groups. The Apostle Paul wrote to the Romans that the job of the government is to praise good and punish evil. 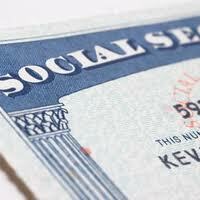 Absent from his abbreviated list of proper government functions is retirement savings provider. Big government is both a sin and a punishment. It is a sin in that it is a rejection of God’s provision in favor of faith in the wisdom of men; it is a punishment in that it robs the offending people of their wealth, their freedom and their dignity. And until Americans realize that the government – federal, state and local -is not the sovereign provider of all good things, they will continue to be hoodwinked by socialists who promise the world but deliver only bankruptcy and tyranny. Read the rest of Paul’s article. Recently, I was listening to a John Robbins lecture on apologetics and something he said hit me like a ton of bricks. Robbins was speaking about Rom.1:18-21, and his explanation of a key phrase in the passage radically altered my understanding of the text. The most popular method of Christian apologetics today is evidentialism. And those who use this method argue for the truth of Christianity by appealing to sense experience. 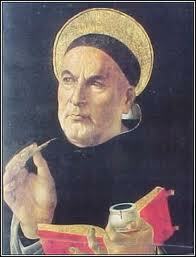 The most famous of all evidentialist apologists is Thomas Aquinas, whose best known defense of Christianity is the cosomological argument. In this argument, Thomas founded his case for the existence of God on the fact that, “it is certain and evident to our senses, that in the world some things are in motion.” Many of today’s best know Evangelical apologists accept Thomas’ argument, including such respected scholars as Norman Geisler, R.C. Sproul, and John Gerstner. Divine invisibility, eternity, and power are all expressed in and through the created order…The invisible God is revealed through the visible medium of creation. But what if “the things that are made” [tois poiemasi Gk.] refers to something other than non-human creation? Hodge himself seems not to know what to make of the words “the things that are made” when he calls them “a redundancy.” But what if the words “the things that are made” are not a redundancy but in fact refer to something new? What if “the things that are made” is a reference to men? For we are His workmanship [poiema], created in Christ Jesus for good works, which God prepared beforehand that we should walk in them. Here, “we” are the subject of poiema, which is rendered “his workmanship.” And if poiema can refer to people in Ephesians, is it that much of a stretch to believe that poiema could also refer to people in Romans 1:20? By understanding poiema in this way, we can render Rom.1:20 as , “For since the creation of the world, His invisible attributes are clearly seen, being understood by the men whom He has created, even His eternal power and Godhead.” If Robbins is correct, and I believe that he is, Romans 1:20, rather than being an evidentialist stronghold, is in truth a scripturalist citadel. You can hear Robbins’ full lecture here under Collection 5: Defending the Faith, Level 2 , Lecture 2. The relevant portion starts at the 34 minute mark. Yesterday dad and I went over to the local shooting range and fired off a few shots. It was the usual good time with one difference: he brought his old 20 gauge shotgun that his parents gave him when he was a boy. 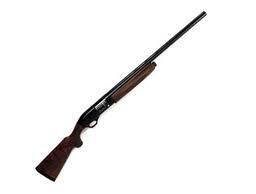 I’d never fired a shotgun before, just pistols and a .22 rifle, so I approached the shotgun with a little trepidation. I held the gun in my hand, chambered a shell, locked it in place and cautiously shouldered the gun just like dad told me. Then I took aim, squeezed the trigger, and…MAN what a kick! That shotgun was like nothing I’d ever fired. The amazing thing is that dad got the gun when he was 11 years old. He told me about how he and his friend used to go hunting with it and shoot small game for food. He even checkered the stock himself as a teenager, and did a very nice job of it. Now keep in mind, this wasn’t out in the boondocks somewhere, but the suburban outskirts of Cincinnati in the 1950s. In a similar situation, how many parents today would give a powerful shotgun to an 11-year-old? Living in an era when kids can’t ride a bike without a helmet, what would people think about a gun-toting preteen walking down their street? Good grief, somebody call the authorities on those parents! And that kid…off to juvi with him! The hippies of the ’60s claimed that they were ushering in a new era of freedom, and we who live in the aftermath of that era certainly like to think of ourselves as liberated. But are we? When I consider the matter, it seems to me that sixty years ago kids had a much better claim to freedom than most youngsters today. The same goes for the adults too. The preaching and belief of the Gospel changes not only individuals, but whole societies. As Christians we understand the former, but often have a poor grasp of the latter. As a youngster, I was taught nothing by my public schools about the great debt modern civilization owes to Christianity. Ancient Greece and Rome, I was told, were the basis of modern science, democracy and civlization as a whole. It’s safe to say no one in my classes, including me, had ever heard of E. C. Wine’s The Hebrew Republic or Max Weber’s The Protestant Ethic and the Spirit of Capitalism. Our history books, however, did give us one or two paragraphs on a minor event that took place in the 16th century, something called the Protestant Reformation. 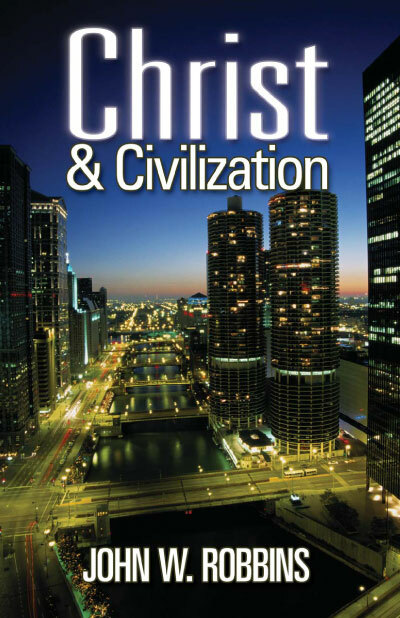 Perhaps the best treatment I have ever read of the contrast between Christian and non-Christian civilization is John Robbins’ book Christ and Civilization. In it, Robbins paints a stark picture of just how unjust and brutal “glorious” ancient Greek and Roman societies really were. This should come as no surprise to anyone who has read even a little history. The enormities of communism and fascism in the 20th century occurred, not in a Christian contex, but in an atheistic one. Our own nation is rapidly sinking under the weight of similar foolish ideas, and unless Christ grants widespread repentance, we will surely experience the same sort of oppression as did the people of those societies. Brutality is both the result of and the punishment for the rejection of Christ. Without further delay, I give you the opening paragraphs of Robbins’ book. Each December 25 and January 7 nearly two billion people celebrate the birth of Jesus Christ. The celebration is doubly ironic, for the dates are not his birthday, and most celebrants have forgotten – or, more likely, have never learned – the meaning of his birth. One of the most enthusiastic celebrants of Christmas I have known was an atheist. She loved the colorful decorations, the intoxicating smells, the cheerful songs, the plentiful food and drink, the smiling faces of children, exchanging gifts, and the feeling of goodwill, however fleeting. She, like hundreds of millions of others, was a devotee of Christmas, but not a disciple of Christ. Hundreds of millions of churchgoers, unlike my atheist acquaintance, add religious feelings to their list of things to like about Christmas: They seek and find feelings of awe and wonder from visiting cathedrals, listening to choirs and oratorios, observing rituals and processions performed by gaudily attired priests; and they think those feelings of transcendence are somehow Christian. The churchgoers are more deluded than the atheist. This profound ignorance of Christ – an ignorance that does not even realize it is ignorance – is a tragedy of eternal proportions, for the life of Christ – his birth, life, death, and resurrection – is not only the most important event in the history of mankind, but far more important, the only way to Heaven. In fact, if Christ were not the only way to Heaven, his earthly life would have no importance at all. Christ’s life is the point from which we date all of world history, and it is impossible to understand history and Western civilization, especially the United States, without understanding Christianity. The preaching of the Gospel that began during the 16th century Protestant Reformation resulted in the salvation of millions, but salvation wasn’t the only benefit conveyed by the widespread belief of God’s word. A whole new order of society was brought about. Governments which once ruled a cowed citizens with an iron fist were cut down to size, while at the same time individual liberty grew. But just as civil liberties were the result, not the cause, of the preaching of Christianity, so the disappearance of Christianity in the West brought about the rise of police state. Anyone who’s followed the news at all over the past several years knows, or should know, how fast our liberties are vanishing. Americans have scarcely any privacy left. Our cell phones are subject to warrantless wiretaps, our financial privacy is gone, at the airport we’re groped and x-rayed, soon our cars will have government-mandated black boxes. Each year brings new an improved state sponsored snooping. 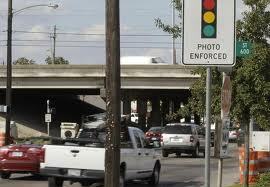 This being the case, the rise of the red light camera should come as no surprise. A while back the City of Cincinnati put red light cameras to a public vote, and the noxious little beasties went down to a glorious defeat. For once, I was actually proud of the folks in Cincy. But sadly the surveillance state seemingly has had at least as many successes as defeats in recent years. Constitutional attorney John Whitehead has written an excellent piece on the rise of the red light camera and the actual motive why government snoop dog types love them so. Read the article here.